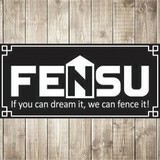 Dream Fence by Fensu Inc.
Garbarino Customs Co. is a full service fence installation and repair company with expertise in all types of fences, including aluminum, wood, vinyl, chain link and wrought iron. We also install and repair mailboxes, light posts, sign posts, custom gates and more. 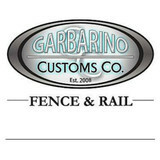 Garbarino Customs Co. is an owner-operated company that takes pride in providing our customers with quality product, excellent customer service and competitive pricing. Please call us today at 774-266-0665 or email us at mike@garbarinocustoms.com for a free quote. We will make your experience with us pleasurable and keep you informed every step of the way. In business since 1982, we are a family-owned and operated business with a simple philosophy: Deliver what we promise and be easy to work with. What we promise is beautiful long-lasting fencing delivered with you in mind. We want you to love your fence and be completely satisfied with every aspect of it, start to finish. Each fence we build is custom-crafted, not taken from a warehouse of mass-produced stock. We use only select lumber mills and resources, then inspect all materials before installing them at your home. Our reputation is based upon performance. Since 1982, thousands of homeowners have relied upon us to beautify and secure their properties. We'd like to do the same for you. 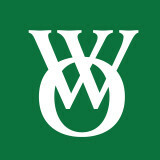 We're passionate about delivering an exceptional and professional experience. When you hire us, you're hiring a team of professionals who are trained and skilled to deliver lasting value to your home or business. From the initial design process to construction completion, we consider ourselves humble guests in your home, and as such respect your personal privacy and space. You can rely on our professional team to make recommendations that fit your taste and style but always give you the final word. If you are looking for a Boston area fence contractor to provide reliable fence installation consultation for privacy fencing, safety fencing, security fencing, pool fencing, sound deadening/reduction fencing, perimeter fencing, decorative fencing, pest control fencing, or other quality fence or enclosure installations for your property or business, let Fensu Dream Fence be your best fence company. We will help you to achieve your dream fence for beautification, enjoyment, protection and peace of mind. Or if you simply dream of creating a peaceful oasis or sanctuary to enjoy some solitude or to just have the satisfaction of knowing that your property is secure and protected. Our Dream Fence experts will work with you to create the ideal fence solution for your needs. Check out our fence company reviews and fence contractor awards, browse our quality fence materials, and fence product pages. Feel free to contact us any time at our Boston Mass fence company location to inquire more about our fencing services, fence contracting, or ask about our wood fences, metal fences, or vinyl fence products and to consult with our Dream Fence installation experts so that we may schedule an appointment for your no-cost consultation and free estimate. Ideal Fence is small in size, but big in ideas, inspiration and selection. As you can see from our home page, we opted to stay small for a reason – to maintain our personal care and attention to customers who we have been serving since 1983. We love our work. And we enjoy helping you find the most attractive, yet cost-effective and functional fit for your fence project. Please take advantage of our free creative consultation. Ideal Fence owners Eddie and Mark Nilan favor personal attention, thoroughness, professionalism and fair pricing for customers in its immediate area over expansion. "We decided long ago that the high level of service to our local customers must take precedence over any growth plans," Mark says. The Ideal Fence stockyard keeps adequate inventories on hand at all times for fast delivery of its most popular products. Privacy and security are two of the benefits you receive from custom fences that are built by Spartichino Fence. To give your fence a unique look, we do custom and fancy designs for low prices. From wood and stockade, to PVC and chain link, let us help you mark your property's boundaries in a classic way. Create a custom look for your home's exterior with services from our fence contractors in Cambridge, Massachusetts. Spartichino Fence has been providing quality fencing and installation services to customers for more than 50 years. 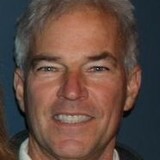 Our owner, George, personalizes your service by working with you to construct a custom fence that matches your needs. It all starts with a free consultation, so call us now to set yours up. 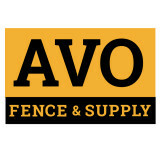 Arrow Fence is a family-owned and operated fence installation company. We have been faithfully serving the Greater Metrowest communities since 1969. We offer a complete line of quality cedar, vinyl, aluminum and chain link fences, most manufactured right at our own facility by skilled craftsmen devoted to quality workmanship and customer satisfaction. We stock an extensive selection of professional grade fence styles and components to assures the highest quality workmanship and materials. Are you planning to do the project yourself? Our knowledgeable staff will provide guidance every step of the way. We also offer full installations from a team of highly experience professionals! We'll be involved as much as possible and as needed to make sure that every job is done correctly. We'll help you choose your design layout and help you make decisions when choose the materials for the actual installation. We're happy to answer your questions and make sure that you're confident in our products and our services. Contact us today to schedule an onsite estimate, or visit our showroom located at 360 South Street Marlboro, MA to compare our quality and workmanship before you buy. We are fully licensed & insured and we can help you with any fence installation or repair. Your Holliston, MA fence installation and repair professional will work with you to create your ideal fence. Fence installation or replacement. If you are in the market for a brand new fence, a contractor’s services will include walking you through various fence styles and materials, determining a suitable height, ensuring that all fence designs and plans are compliant with Massachusetts building codes, and that the fencing meets both your stylistic and security needs as the homeowner. Fences and gates must complement the grade of your property as well as the type of soil you have, so the contractor should always plan around these considerations. Additionally, if you don’t know exactly where your property lines are, he or she can commission a survey for you. Find a fence contractor in Holliston, MA on Houzz. Narrow your search in the Professionals section of the website to Holliston, MA fence contractors. You can also look through Holliston, MA photos to find examples of fencing and gates that you like, then contact the professional who worked on them.